After weeks and weeks of voting, it is finally time to reveal the winning photograph from the 2016 Photo Competition! Fifty-five pictures were selected over eleven competitions that were voted on by you, the fans. Then the top photo from each WTS race and the Olympics and Paralympic events were collected and once again voted on to finally vote to reveal which photo would be crowned the title of the 2016 ITU Best Photo of the year. So which photo did you pick? 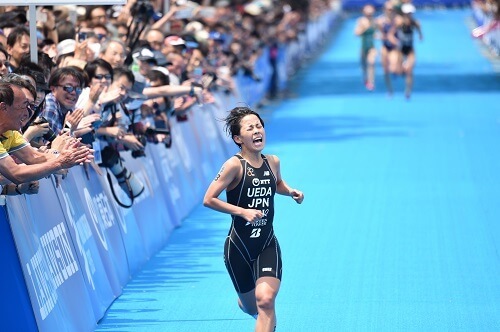 And the winner of the 2016 Photo Competition is this photo of Ai Ueda in the WTS Yokohama event. You can feel the intensity with which she was racing that day in this picture. She podiumed in the race in front of her people and her nation - in Japan. Making the medal an extra special honour as she also earned a spot on the Japanese Olympic team that day. The image was shot by none other than the very talented photo ninja himself, Delly Carr. To achieve the shot, he used a Nikon D5, ISO 200, 1/2000 sec, 400mm lens set 5.6. “This image to me has so many meanings in many ways. The lure of an Olympic Medal brings out the best in each athlete in an Olympic Year. Ueda, whom after so many years racing, found a new inner strength in 2016, to race like the wind and land herself a place on the Japanese Olympic Team. And she did it on her home soil, the ITU WTS race in Yokohama, the Japanese city that embraces the race year after year. But what is most important is the anguish that Ai has on her face .... she has given it her all to make the team. To go to the Olympics. To hopefully win a medal. For Japan. In Japan. By a wonderful Japanese lady,” said Carr. 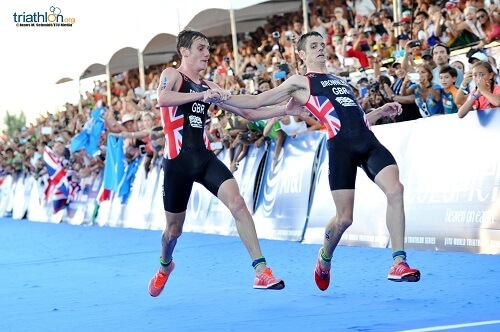 This iconic photo of brothers Alistair Brownlee and Jonathan Brownlee at the Cozumel Grand Final was shot by Janos Schmidt. 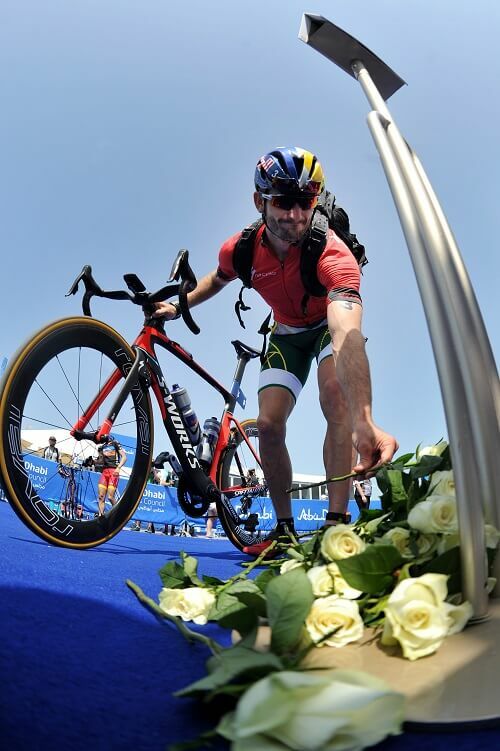 This beautiful photo of Richard Murray laying down flowers in honour of the beloved late Laurent Vidal in WTS Abu Dhabi was shot by Janos Schmidt.